www.pksf-bd.org Palli Karma-Sahayak Foundation published new PKSF NGO job Circular on October 2016.Samajik seba Songothon NGO Job Circular PKSF Full Details available at www.ejobscircular.com . For Education Qualification, Age limit and Others info Please check below this Original Job circular. Bangladesh All GOvt job circular and NGO Circular available in my website. Stay with us for Daily New job circular and Job exam Result. 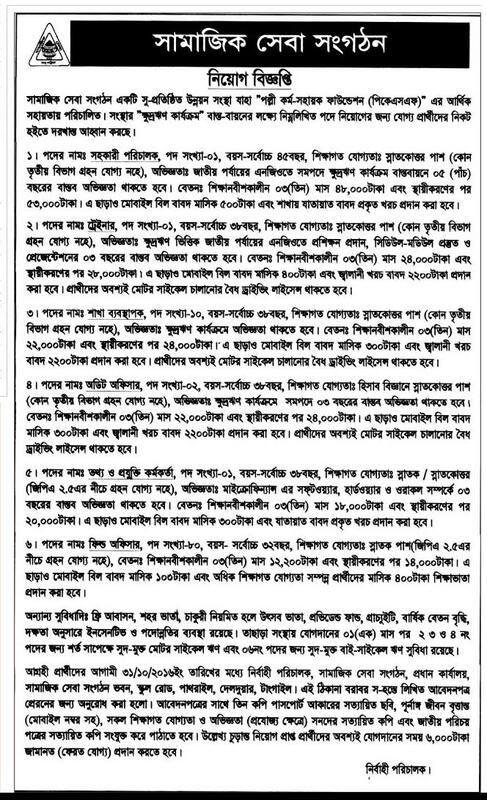 Click here for Get all job circular published by Daily BD newspapers. Thank you.